In the final days before a public vote on education reforms approved by the Legislature in 2011, the rhetoric is heating up with proponents of the measures characterizing the campaign as a battle with “liberal unions” and even claiming support from GOP presidential candidate Mitt Romney. Recent proponent television ads and election literature liken the campaign on Propositions 1, 2 and 3 to an earlier “right-to-work” campaign, claiming that national unions are once again pouring millions of dollars into the opposition campaign in an attempt to undo the legislation. Right-to-work legislation came to a vote in 1986 when the Idaho electorate voted against being forced into union membership in the workplace. Gov. Butch Otter is quoted in new proposition campaign literature as accusing “big labor” of targeting Idaho again in a campaign that has more to do with union power than education for Idaho students. Propositions 1, 2 and 3 will be separately put to Idaho voters in the general election on Tuesday, Nov. 6. Proponents of the education reforms need to vote yes, while opponents need to vote no. A simple majority wins. Proposition 1 addresses legislation that reduced the power of teachers unions in negotiations with school districts by basically restricting discussions to just salary and benefits and eliminating from the table union ability to negotiate curriculum and class size. The legislation further removed tenure as a consideration in the event of staff reductions. Proposition 2 addresses legislation that implemented a pay-for-performance plan for teachers in an attempt to insert teacher achievement, as measured by student achievement test scores, into pay structures previously based solely on years of experience and education levels. Proposition 3 addresses legislation that provides new technology to classrooms with state funding to be appropriated to supply every high school student in Idaho with a laptop computer. The legislation requires that high school students complete two online courses to graduate. 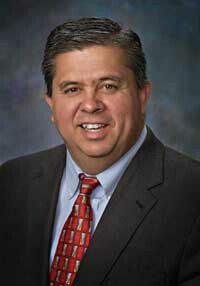 All three measures were introduced by State Superintendent of Public Instruction Tom Luna in 2011 and approved by the Legislature that same year. “Teachers are students’ best mentors and advocates,” the opposition group states. “They use their voices to fight for lower class size and safer classrooms, but Proposition 1 tries to silence those voices by making it illegal for teachers to negotiate on behalf of their students. “Proposition 2, is another top-down mandate that forces more teaching to the test. This one-size-fits-all approach to education also means less local control of our schools. The Blaine County School District has not taken a position on the propositions. Trintje Van Slyke, president of the Blaine County Education Association, said the teachers union is against them. “Basically, BCEA is urging voters to vote no on Propositions 1, 2 & 3,” Van Slyke said. In a written statement to the Idaho Mountain Express, Morgan Hill Jr., communications director for Vote No – Prop 1,2,3, addressed a question about what happens if the legislation is upheld. Luna provided a written statement to the Express regarding a question of what happens if the legislation is repealed. “If these laws go away, it would be very disruptive for Idaho’s schools and districts,” Luna stated. “Right now, the state is on a path to creating equal access to the best educational opportunities for all students, no matter where they live.